Welcome to Alaska Coin Exchange! 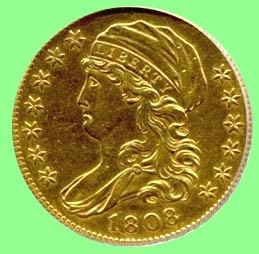 I offer a wide variety of United States and Foreign coins in all grades and all price ranges, beginner to advanced. Although I do carry lots of different coins, my specialty is U.S. Proof coins of the 1817 through 1916 era. These classic Proofs offer beauty and scarcity at very affordable prices. This is an under-appreciated area of numismatics in which you will never find a mintage of over 7,000 pieces. Whatever your specialty is, let me help you to build a meaningful collection that you will be proud to own! Look around and see what I have to offer. Just follow the links above! I have subdivided my inventory down into smaller sections so that the pages will load in a timely manner. 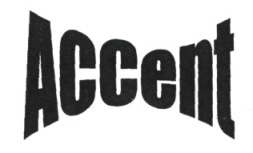 There are over 7,000 items listed, and scanned images are provided for many of the items. When you see an image, that is the exact coin you will receive. Prices slashed to 10% to 25% or more below Greysheet Bid! Stock up now - everything must go! Payment Methods: Check, Money Order, or PayPal. PayPal: Your order is shipped as soon as possible. Money order or cash: Your order is shipped when we receive your money order or cash. Type the word "Check" in the box during checkout to receive a 5% discount for not using PayPal, thus avoiding the PayPal fee. Check: Your order is shipped once the check is received and has cleared the bank. We now offer a 5% discount for paying with cash, check, or money order, as this avoids the PayPal fee. Type the word "Check" in the box during checkout. Due to complex regulations, we accept orders for United States addresses only. All order sizes are welcome! There is no minimum order size. 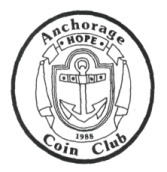 You may read about Alaska Coin Exchange as well as read some Articles written for the Anchorage Coin Club newsletter ACCent. I also maintain a substantial reference Library for doing research on coinage. Lastly, there are a few Links that may be of interest to you. If you are planning to ask how much your coin is worth, please visit our frequently asked questions page first. A listing of known criminals operating in the numismatic world has been added. What used to be the Image Library has been relocated to a new website, www.CoinAndStampGallery.com which contains the many thousands of coin and stamp pictures that are in our database. Have fun looking around the Coin and Stamp Gallery, and let me know if you have any suggestions for improvement. Another change is that we have eliminated the stand alone Pre-1917 Proofs website, but you can see what it looked like by clicking on the name. All content is Copyright by Alaska Coin Exchange and may not be used without permission.